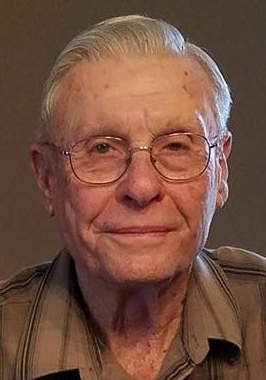 Hastings resident Lowell L. Busboom, 81, died Saturday, February 9, 2019, at Perkins Pavilion Good Samaritan Society-Hastings Village, Hastings, NE. Graveside service is 11 a.m. Thursday, February 14, at Hanover Presbyterian Cemetery in Hanover with Pastor Dale Phillips officiating. Memorials may be given to the Hanover Presbyterian Cemetery Association. Visitation will be Wednesday, February 13, from 1-7 p.m. with family present from 5-7 p.m.
Lowell was born March 26, 1937, near Pauline in Adams County, NE to Oliver and Marie (Krull) Busboom. He graduated from Roseland High School. On March 16, 1962, he married Donna Gundersen Valentin. Lowell was a farmer and livestock producer. Lowell was preceded in death by his parents and brother-in- law, Eddie Uhrmacher. He is survived by his wife, Donna Busboom of Hastings, NE; children and spouses: Wayne and Iva Busboom of North Platte, NE, Lyle and Melanie Busboom of Juniata, NE, Mark Busboom of Buhler, KS, and Nancy and Dean Krull of Hastings, NE; 7 grandchildren; 6 great-grandchildren; and sister and brother-in-law, Sharon and Carl Groenewold of Ayr, NE.